Hey there, soon-to-be SLP! We've put together a guide of the need-to-know info for graduating and starting your career as a Speech Language Pathologist. Wherever you are in your journey, it's never too early or late to learn about this process. Clinical Fellowship through ASHA is the only way to earn those sweet, sweet letters "CCC" in addition to "SLP". So . 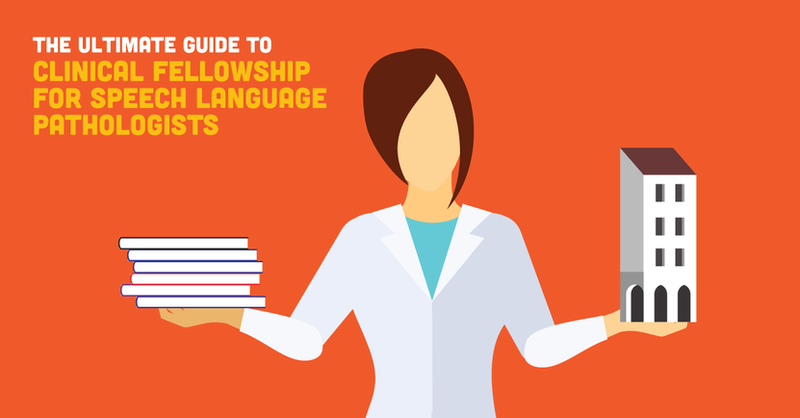 . . what is Clinical Fellowship for Speech Language Pathologists? Clinical Fellowship is an opportunity that ASHA creates for graduates to apply what they’ve learned, become an independent provider, and increase clinical effectiveness with the help of a mentor. We made this guide for students on their way to becoming SLPs: students who are currently enrolled in a master’s program at a school certified by ASHA’s Council on Academic Accreditation in Audiology and Speech-Language Pathology (CAA).